Prom and graduation season are the busiest time of year for Mothers Against Drunk Driving, as the group works to educate families about the dangers of teen alcohol consumption and what can happen afterwards. On Thursday, May 5, 2016, U.S. 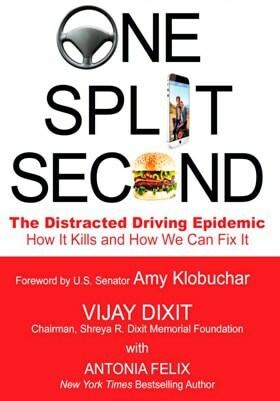 Senator Amy Klobuchar joined with Minnesota high school students, safety leaders, researchers, and Vijay Dixit, a leading distraction-free driving advocate, to highlight the dangers of distracted driving. “My daughter, Shreya, was in a car,” says Vijay Dixit of Eden Prairie. “She was the front-seat passenger in a car. She was a sophomore at the University of Wisconsin in Madison, coming home for the weekend. Today the National Safety Council released survey results showing 82% of Americans feel the most pressure from their families to drive distracted. As National Distracted Driving Awareness Month begins in April, a Twin Cities father released a book detailing his research on how to fix the epidemic. 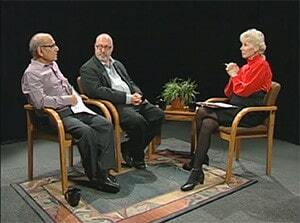 Mary Hanson spoke with Vijay Dixit, Founder of the Shreya R. Dixit Memorial Foundation and Frank Hornstein, MN State Representative and Chairman of the Minnesota House Transportation Committee, about distracted driving. Starting January 1, 2015, there are new requirements to get a provisional license if the teen is under 18. Teens must provide a supervised driving log when taking their driving test that’s signed by a parent. There are new requirements for the Graduated Driver Licensing Law for teens under 18. To get a provisional license for the teen, one of the parents need to attend a parent awareness class to be offered by the driver education program. Vijay Dixit on WCCO Radio. Listen to the interview here.